Mizo National Front (MNF) vice-president R Lalthangliana on Wednesday launched a scathing attack on the Lal Thanhawla-led Congress government in Mizoram alleging that the government did not take any concrete steps to check entry of illegal migrants from neighbouring states after the publication of the final draft of National Register of Citizens (NRC) in Assam on July 30 last. Lalthangliana said this while addressing a political training in south Mizoram’s Champhai town. 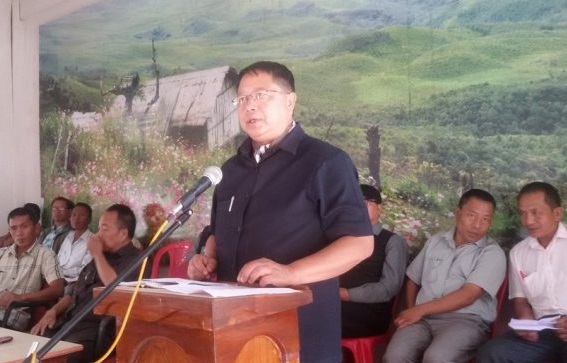 He also said the State Government had turned a blind eye on the influx when other states of the region swung into action immediately thereby compromising the ‘territorial integrity of Mizoram’. Lalthangliana feared that many of the 40 lakh people whose names have been left out in the NRC final draft would try to enter Mizoram. Lalthangliana further said that the government woke up only after volunteers of the Mizo Zirlai Pawl (MZP) stepped out to protect the land. He also said that while the MZP has apprehended more than 200 suspected Bangladeshi infiltrators, the police, who were camping along the border, have not arrested even a single foreigner. Meanwhile, MNF chief Zoramthanga said the party must be voted back to power to protect the State. Addressing a function in Aizawl on Wednesday, Zoramthanga blamed the government for allegedly doing nothing to protect the State.